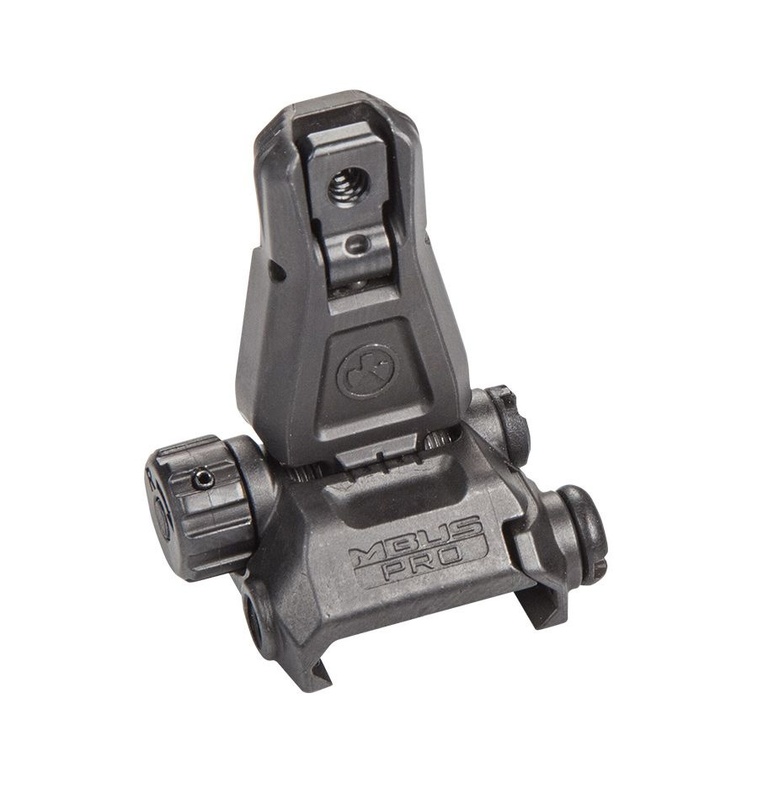 The MBUS Pro (Magpul® Back-Up Sight) is a corrosion resistant all-steel back-up sighting solution that delivers maximum functionality and strength with minimum bulk at a price that"s even smaller than its size. The dual aperture, windage adjustable Rear and no-tool, elevation adjustable Front excel in all 1913 Picatinny rail mounting applications, including rail-height gas blocks. Positive detents keep the MBUS PRO Front and Rear at standard AR sight height when deployed, and so low when they are stowed that you"ll never notice them until they"re needed. Narrow width Front is compatible with most IR aiming laser and light installations for the professional user.